I didn't think I'd have time to go out with my camera nor do any processing since I had so much packing to do but I made enough progress to continue on my search for a remedy to Texture Effects not working on my new computer. I love these strange looking birds!! Nice flight shot!! a great shot and lovely processing. Seamless and the tones work well. I understand the advantage of replacing the background in some images, especially if is is busy and distracting, or maybe the subject doesn't stand out well. For me it doesn't work here, it's just too distracting. There is something about the edge of the pelican too, it seems to have a halo around it. 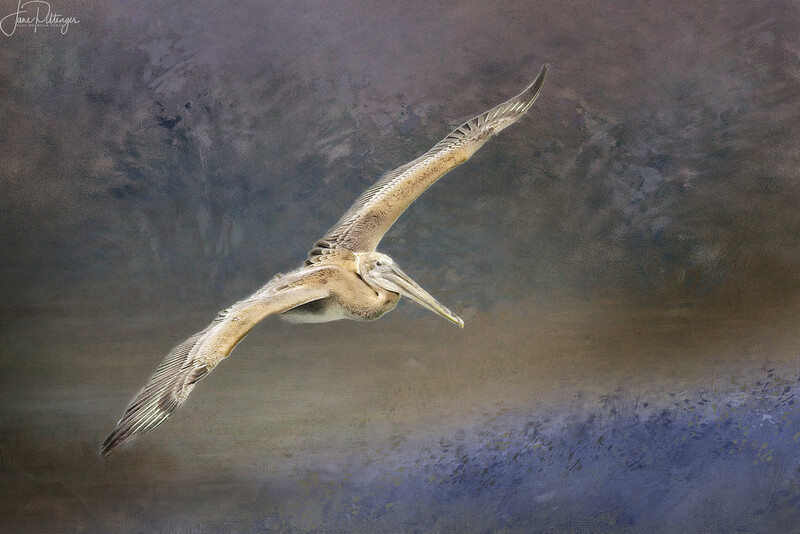 You've captured the pelican in flight beautifully though, with great detail.